If you want to join the race to the bottom then Skinny Direct is another good option since it is on Sparks network (2degrees can be terrible in some places coverage wise). Gotta remember also you're getting quite a bit of value on Spark with Spotify, Lightbox, Free WiFi etc too. I doubt Spark will make any major moves, mainly because the high volume data plans are reserved for their 24-month contracts. Increasing the data on their open term plans would effectively kill those off for good - they're only tempting to customers because of both the phone subsidy and the data allocation. The subsidy on it's own wouldn't make them worth it. I suspect the move on the unlimited pricing is their reaction to the 2degrees plans and that nothing else is coming. If they could deploy the Skinny reaction as quick as they did, then there is no reason they would drag their heels with the Spark side of things. I'm on a spark corporate business plan that gets me around 10GB for around $100. I hope my procurements team see this plan and get us a better deal. Seems crazy that a large corporate wth bulk buyi power pays so much more than an individual consumer. Two Degrees announced a new plan. 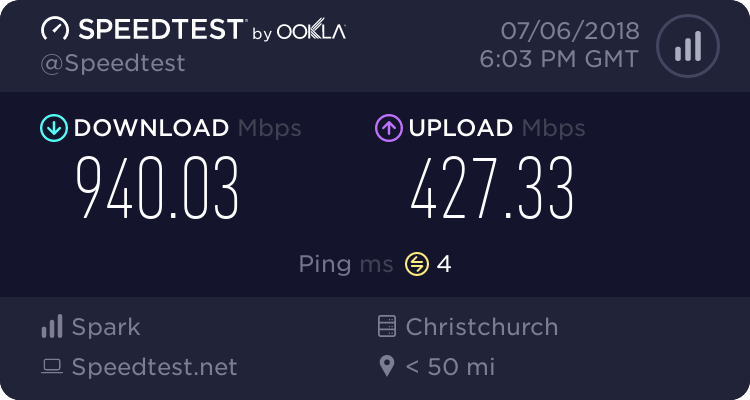 $70 per month gets you unlimited calls/txt to NZ/Aus, and 25GB, and you can tether and use a hot spot. Usual call/txt restrictions still apply. NonprayingMantis: I'm on a spark corporate business plan that gets me around 10GB for around $100. Don't hold your breath unless you work for a small company. Corporate plans are strange. If they're anything like V.fone, they offer iPhones as part of the current package and the bosses are suckers for those. My company gets iPhones for the bosses and Samsung xpress for the plebs - complete with a whooping 30 Mb of data. What is the point of a smart phone with 30Mb of data? The smarts don't get used so it's just an out-sized, fragile dumb phone with poor battery life and high repair costs. Am I just being ungrateful or should there not even be a charge in the first place considering we're already paying for the plan? Why not just slap a limit on and leave it at that? This sounds like a money grab. I think Spark still don't get it. I can understand that this thing would completely break if folks run hotspots and let all and sundry feed off them. However there's a reasonable hotspot use of one connected device for telecommuters. If they could allow that I think it would make a lot of people happy and remove a restriction that to me, ruins their package. This 10Gb bandaid is overpriced and of no interest to me. Their competitors have once again stolen a march on them. @Jasonparis is this MAC address based? i.e. if the sim is in a hot spot so to speak for the first 10Gb to be shared, will the remaining 12Gb of data only be able to be used primarily by the hotspots MAC address? corksta: Am I just being ungrateful or should there not even be a charge in the first place considering we're already paying for the plan? Why not just slap a limit on and leave it at that? This sounds like a money grab. its not a money grab, its really to protect network integrity and keep it fast and stable for everyone, last thing spark wants is overloaded towers from people streaming,torrenting all day as they are using the mobile plan to replace an ADSL,DSL connection, this has happened to a ton of providers overseas resulting in removing these plans and restricting further. I completely understand and agree. But why $10 for that, what's the cost involved to Spark? Fundamentally the plan is still the same so it still can't be used to replace a normal broadband connection, it's just that 10GB can be used to tether, so why is there now a cost involved to do that? That's what I'm not understanding and it just seems like people are having to pay for that privilege.